I grew up with the problem that no one talks about. I lived through community members gently tip-toeing around subjects like race and class. You might not think your ten-year-old child notices these types of things, but they do. I watched a number of my White peers move away to “better” areas. I saw friends transfer to private schools in search of a “better” education. It didn’t take long to realize that the people leaving SEL and the people entering SEL looked very different from each other. I might not have known why this was happening, but I knew. I entered kindergarten at Adrian Elementary in 2000. My best friend lived around the corner from me. My mom volunteered with the PTA. I rode a school bus and was excited when they served chocolate pudding in the cafeteria. For much of my childhood, I thought my school was typical. There wasn’t anything special or out of the ordinary. How different could things be? I slowly learned that there was one particular aspect of my school that made it different from many others. You see, half of the students I went to school with didn’t look like me. I was a fair-skinned child with blonde hair and blue eyes. Every day I would walk into a classroom where 50 percent of my peers were Black. Did I notice the difference in skin pigmentation? Yes, but I never thought anything of it. 7-year-old me lived in a post-racial world. Skin color didn’t matter when I played on the playground or ate lunch in the cafeteria. As the time to transition to Greenview moved closer, more and more people moved away. I saw countless friends leave the school I loved. While a handful were moving across the state or even across the country, most were relocating less than 20 miles away. They settled down in places like Solon or Hudson, or sometimes even neighboring Mayfield. It wasn’t until I crept toward adolescence that the reasoning for my peers leaving began to solidify. My parents explained to me the social phenomena of “White flight.” As more and more people of color moved into neighborhoods and schools, middle-class White people fled further away from the city center. I began to understand why all my classmates moving away were White and all the “new kids” weren’t. It wasn’t at all a sheer coincidence. It’s no wonder that my peers and I thought we went to a bad school. We were constantly surrounded by the negative opinions of (often uninformed) community members. Our friends from other schools would warn of being stabbed in the hallway. Complete strangers would inform us as to why Brush doomed us to a life of mediocrity. If there is one thing that you pick up from this internet rambling, it’s this: sending me to Brush and SEL schools was the best thing my parents could have done for my education. I took honors and AP classes from dedicated faculty who taught me how to think critically. I engaged in a multitude of extracurricular activities that allowed me to become a well-rounded person. At Brush, I was able to excel academically while participating in a phenomenal music program and pursuing a love of art. I learned incredible leadership skills from pitching for the less-than-stellar softball team. Most importantly, I learned how to engage with people who aren’t like me. From the time I entered kindergarten until I graduated high school, I attended schools that were at least 50 percent Black. I had classmates whose parents worked two jobs. I interacted with people who didn’t possess the same religious beliefs I did. These experiences helped give me a worldview that extends beyond my privileged, White, middle-class bubble. You don’t learn anything from being surrounded by homogeneity. I am infinitely more prepared for life because of my time at Brush. South Euclid-Lyndhurst Schools have allowed me and my younger brother to be anything but mediocre. I’m currently a junior in Ohio State’s John Glenn College of Public Affairs and serve as Media Director for the OSU chapter of Students for Education Reform. My brother Colin graduated as salutatorian of the class of 2015 and is currently a freshman at Northwestern University. An education in this school district has enabled us and many others to create a promising future of our own. My father often describes living in South Euclid as “ground zero.” This is where we truly figure out if people from different classes, races, religions, and general walks of life can live together as neighbors and thrive. It’s a difficult process that requires reflecting on our tumultuous history filled with discriminatory practices. By attending SEL schools, we made a statement: we aren’t running from these challenges. We’re ready to face this head on. In the fifteen years my family has been associated with SEL, the demographics of the schools shifted dramatically. In 2000, the district roughly represented the community it served: it was filled with mostly White, middle-class students. In a decade and a half, however, the schools’ population has become predominantly Black and the student poverty rate has increased almost 2500%. Many people are willing to acknowledge the recent influx of minority families into the public schools but not willing to do so for the equally important half. Middle-class, mainly White families have left our schools. It’s time we become comfortable addressing this fact. Like my colleague, Sally Martin, mentioned in her essay “The Problem No One Talks About,” race is a very difficult thing to discuss. But we have to start somewhere. We have to acknowledge the elephant in the room. Why are we doing this? What’s the point? Strong public schools lead to strong communities. When the strength of the public schools is called into question through misinformation, everyone hurts. Local government, businesses, and families must scramble to face the effects of this new perception. Most importantly, the students are hurt. As Harvard professor of Public Policy Robert Putnam noted in his bestseller Bowling Alone, “trust, networks, and norms of reciprocity within a child’s family, school, peer group, and larger community have wide-ranging effects on the child’s opportunities and choices.” We are at a crossroads in the communities of South Euclid & Lyndhurst, Ohio: our public schools no longer represent the community they serve. Through gossip and hearsay, many of our middle-class families no longer trust the public education system as a viable option for their children. It’s time to change that. 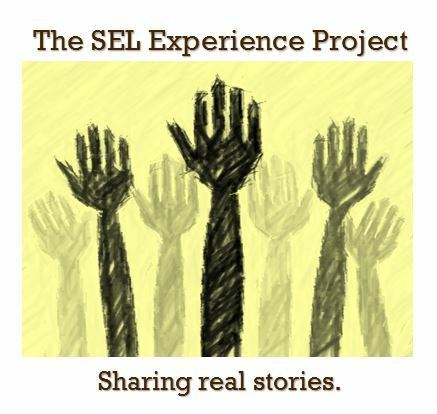 The SEL Experience Project believes in a better South Euclid-Lyndhurst City School District. Formed in the spring of 2015 by a concerned parent and a recent graduate, this grassroots organization aims to share the real stories of our public schools. We have both experienced firsthand the incredible opportunities available in the public schools and are passionate about sharing the real SEL. It’s time we, as a community, take responsibility for the state of our public education option. It’s time we recognize that childhood development and learning is influenced not only by family and school, but by community as well. When we divest from public education, we relay the message that these students don’t matter. Every student matters.